Dawgma is guided and inspired by its mentors, both past and present. This is a complete list of all the amazing individuals who have volunteered their time to assist us over the years. Alex Model works with Comcast and has experience with electrical and programming. He helps team 1712’s control systems sub team with guidance and provides his years of experience to help Dawgma improve on these aspects. He has played a major role on the team, and Dawgma is able to make their control group more robust as a result. Jason Brown, employed with the PA Department of Human Services has aided team 1712 in their business/PR and outreach, helping Dawgma with editing essays and providing valuable input on how they can improve their recognition. Additionally, he volunteers at FIRST district competitions as a match observer. He is also a better mentor than Jessi and is more popular. Sean Lavery graduated from Drexel University with a mechanical engineering degree. Currently, he is employed with the Navy as a civilian engineer. As an alumnus of team 116, he as a long history with FIRST and has provided 1712 with his expertise in mechanical design and competitive strategy. He also coaches matches. He is instrumental in Dawgma’s robot design and primary strategies. Jessi Brown is an Engineering specialist at Merck & Co. She is a heavily invested FIRST participant, an alumna from team 357 who also mentored teams 1394, 61, and 1735.  Her experience with essay writing, PR, and scouting/strategy helped team 1712 immensely. Kimberlee Model is a Dawgma alumna who used to run Dawgma’s programming team. She is currently a Computer Science Major at Drexel. Kimberlee is also currently a Software Engineering Intern in a Drexel Co-op with Lockheed Martin. Mr. Kressly is the founder and advisor of Dawgma. He has worked as a mentor of team 103 and a member of the FTC game design committee. He is a certified English and Technology Education teacher. He was the winner of a Woodie Flowers award at the 2009 DC Regional. His work with Dawgma focuses around logistics, personnel, community outreach, mechanical and electrical work. Mr. Newman is another engineer at Lockheed Martin, who stepped in to help Mr. Bellini with the duties of head mentor in 2014. He mentors the team not only through his engineering expertise, but also his knowledge of software programming. His participation in Dawgma has greatly helped team efficiency and overall expertise. Mark Piotrowski is the head of the Technology Education department at Lower Merion High School. He is the sponsor and head of the Lower Merion TSA chapter. He is essential to the T&E club’s fundraising, outreach and leadership. Additionally, he teaches a CAD class during the year and helped many members of the CAD sub-team during the season. Kevin Dieterle is an electrical engineer working for Lockheed Martin and a graduate from Purdue University. He has been involved with FIRST since high school and currently works with Space Systems at Lockheed. His mentorship has driven the team to create better electronics bays that are more efficient and effective in their tasks. Mike Williams was a Business and Finance major at St. Joseph’s University. He graduated in 2008. He is former member of FRC team 103 Cybersonics. His experience and knowledge were extremely helpful. He contributed to mechanical design and build and game strategy. Katie Cooper is a math and computer science teacher at Lower Merion High School. She implemented the use of VEX robotics in LMHS computer science classes. She was essential in the beginning years of Dawgma, providing the necessary expertise to begin training students in programming. Gene Guay is a physics teacher at Lower Merion High School. He mentors and manages Dawgma’s VRC team 1712. He was the chief mentor of the team in 2012, pulling the team together to build Geoffrey in Rebound Rumble after a particularly difficult year in 2011. Jen Sand is a biology teacher at Lower Merion High School. She contributed her enthusiasm and organization in the beginning years of 1712. Alex is also a 2006 graduate of Dawgma and pursued a Computer Sciences major at Penn State University. Alex was an essential mentor of the team for many years, especially in 2011 and 2012. He had a wide variety of robotics skills that he used in his mentorship of the team: prototyping and design, electronics, sensors, drivetrains, and manipulators. Kathleen Schroeck is at Lower Merion High School Biology Teacher. She has provided herself as a chaperone and as teacher support. Dina Campagna is a TV studio teacher at Wissahickon High School. She is an active FIRST volunteer and also works with FRC team 357. She has provided great help with web site design, chairman’s entries and marketing/PR. Mr. Elder is a current physics teacher at Lower Merion High School. He uses his expertise to mentor the team and also helps organize team meetings. He primarily helps organize the events outside of the competitions. Myreon Smallwood is an engineer from Boeing, a testament to the team’s multiple mentorship connections with engineering companies. Myreon, a graduate from both Drexel University and the Pennsylvania Institute of Technology, mentored the team with his expertise in team dynamics and mechanical and digital tools. Zachary is a 2006 graduate of Dawgma and pursued a Technology Education major at Millersville University. Currently he mentors FRC team 1111, but also shares resources and personal expertise with his old team when he visits. He has helped the team with its organization and technology multiple times. Heather VanHorn is a Special Education teacher at Lower Merion High School. She has helped the team in its organization and in connecting the team to new students at the school. Because of her, many students with disabilities have had the opportunity to participate in FIRST. Jonah, a 2011 graduate of Dawgma, volunteers his time as an alumni mentor during build season. He has donated many hours to the team, teaching students how to CAD and advising the team on robotics design. Delia is a 2010 graduate of Dawgma and currently pursues Civil Engineering at Drexel University. She was honored in 2010 as one of the first winners of the Championship Dean’s List award and mentors the team captains and awards sub-team. Bob Bellini, the chief mentor since 2013, is a computer systems architect and Lockheed Martin employee. Mr. Bellini volunteers countless hours of his time and expertise to Dawgma. His help made the transition to a new electronics system much smoother and has coordinated multiple elements of this year’s team, from the return of the CAD sub-team to the VEX instructional program. Affectionately known as Dr. G, Dr. Paul Gehman is a software engineer and Lockheed Martin employee. Dr. Gehman generously donates his time to Dawgma, making it possible for us to take our programming efforts to a highly improved level.